From the point of conception to the moment of truth, a new home unites a small army of building professionals. All are accountable for the integrity of a completed structure. Concrete slabs require a vital process of moisture management in which relative humidity (RH) levels must balance while a slab dries and cures. Slabs which are installed with too much moisture usually do not appear or perform as stakeholders and homeowners expect. At the turn of the 21st Century, industry professionals began to assess the validity of RH as a means of assessment in a concrete floor moisture test. For decades, builders and installers had relied on the anhydrous calcium chloride method with mixed results. Upon assessment, industry experts discovered that RH gave a more accurate assessment of moisture in the concrete when relating it to a successful flooring installation. In fact, the American Society for Testing and Materials (ASTM) established standard ASTM F2170 to verify the methodological integrity of RH assessment for concrete moisture. The general contractor and/or the concrete contractor are tasked with the ultimate responsibility for stable concrete. However, each contributor to the building of a structure can benefit from a working knowledge of moisture testing based on RH. An architectural design reflects a blend of art and science for structures with aesthetics, safety, and durability. While ASTM F2170 may not top the list of building design considerations per se, architects must consider building materials by design. What’s the point of creating a blueprint if the design itself can’t hold water? Architects are most uniquely positioned as first responders to the moisture challenge. They are empowered to create blueprints for building designs which take into account the optimum building materials for the idea. When pondering concrete structures, architects must consider the building’s geographic environment and structural integrity (among other factors). As conceivers, architects benefit from the assurance that concrete construction is more dependable when slab moisture condition is measured by RH levels. The architects may not themselves do the measuring, but they certainly conjure in the comfort that installers can accurately test the moisture within the full compliance of ASTM F2170. Architects are uniquely qualified to practice their understanding of where and how concrete works and, where necessary, specify a test method that assures all team members of the readiness to move from stage to stage. It’s remarkable how the development of an accurate concrete floor moisture test can embolden the architect to design with greater confidence in industry’s ability to ensure stable slab moisture levels. The slab moisture imperative is passed forward whenever general contractors (GCs) unroll architectural blueprints. 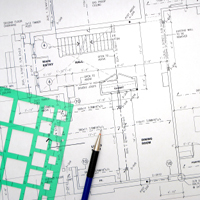 GCs are the jacks-of-all-trades practitioners of making blueprints work on the ground. General contractors are the activators of the architectural imagination. It is their job to turn a blueprint into a building. In the cooperative domino of a building, GCs enact construction standards with rugged realism. They are tasked with overseeing not only the project but its progress (and pitfalls) at every phase. General contractors are wizards of logistics when it comes to moisture condition. In order to confidently validate slab integrity, GCs must satisfy standards and conditions. Generic industry practice is to allow 30 days of drying time for each inch of concrete slab thickness. ASTM F2170 applies to the RH test methods, like using the Rapid RH® from Wagner Meters, using in situ moisture probes. However, specific applications also require specific standards. For example, general contractors must be aware of ASTM F710-11, a separate standard which specifies that concrete has been properly prepared for resilient floor coverings. In essence, general contractors sign-off on the conclusion of slab installation in order to proceed with subsequent building plans. Naturally, budget looms as a concern with any variable expenditure of trade time during building construction. A precise and integral concrete RH test provides critical information so that general contractors can call in sub-contractors to do what they do best. 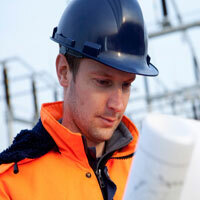 Construction installers are contracted for their specialized sub-trade expertise. They are utilized for very specific purposes, such as plumbing, electrical, concrete, and flooring covering to name a few. Standard ASTM F2170 applies to the testing method and moisture requirements that a concrete slab must meet prior to installation of a finished floor product. The results of said test have a direct impact on the flooring installer’s ability to expeditiously complete the flooring installation. Unfortunately, the floor covering trades have the least ability to affect any real change in the slab design, placement, or finish and have to rely on the workmanship of the concrete installer and the GC’s ability to give the slab a proper environment for drying. A concrete floor moisture test, such as the RH-based Rapid RH®, is crucial for all stakeholders. 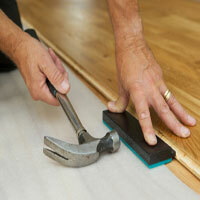 Floor coverings include some form of adhesive which is usually latex-based. In fact, the floor covering industry is rapidly expanding its eco-friendly adhesive products to meet consumer demand. Water is replacing toxic chemicals. When the ASTM F2170-compliant Rapid RHs® moisture testing is completed, flooring installers must match the moisture condition profile of the flooring adhesive and finished floor product with the slab’s surface conditions. In addition, flooring installers must concern themselves with pH levels in the subfloor. If pH is not conducive (as with moisture condition), floor coverings may not adhere properly to the concrete. By taking a cooperative approach to understanding the impact each trades role plays in the finished floor, building professionals are empowered to deliver on their respective mandates, ensuring an on time, on-budget, long-lasting project. Few investments in life match the size and scope of a home. From moments of imaginary conception to move-in day, home is a world of importance to new home occupants. The last thing they want to imagine is residual concrete moisture-related issues. Yet, of all aforementioned stakeholders, home occupants endure what is (arguably) the direct result of improper concrete installation: a broken home. The absence of the Rapid RH® concrete floor moisture test can lead to costly, misinformed installation decisions. In that case, given the importance of moisture testing at multiple construction phases, where does one begin to locate the problem? The answer is simple. Accurate concrete moisture testing produces strong, durable concrete performance when all stakeholders practice its value throughout all phases of construction.